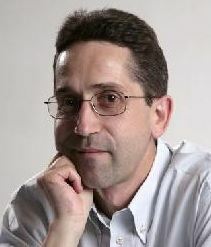 Alain Croibier is an Osteopath in France and has been in private practice since 1990. He is a Member of the Registre des Ostéopathes de France since 1991 and a Membre Titulaire of the Academie d’Osteopathie de France since 1997. Together with Jean-Pierre Barral, Alain Croibier has developed the modalities of Neural Manipulation and Global Joint Treatment based on their on-going clinical research. Alain Croibier is a Professor for Visceral Manipulation and Osteopathic Diagnosis at the Osteopathic College, A.T. Still Academy, Lyon, France. He is also an International Teacher for Visceral Manipulation, Neural Manipulation and Global Joint Treatment for The Barral Institute. Since 1995 he has been a Lecturer in Visceral Manipulation at the College International d’ Osteopathie (CIDO), St. Etienne, France. Since 1991 he has been a Guest Speaker at the Centre Osteopathique du Quebec, Montreal, Canada, the Nederland Academy Vor Osteopathy (NAO) Amhem, Neederland, as well as the Still Academy Deutschland, Munster, Deutschland. Previously he has been a Lecturer of Biomechanics, Visceral Anatomy and Visceral Mechanics applied to Osteopathy, in the Ecole Suisse d’Osteopathic, Lausanne, Suisse, as well as a Lecturer in Human Anatomy, Biomechanics and Visceral Manipulation at the Institute Superieur d’Osteopathie of Lyon, France.